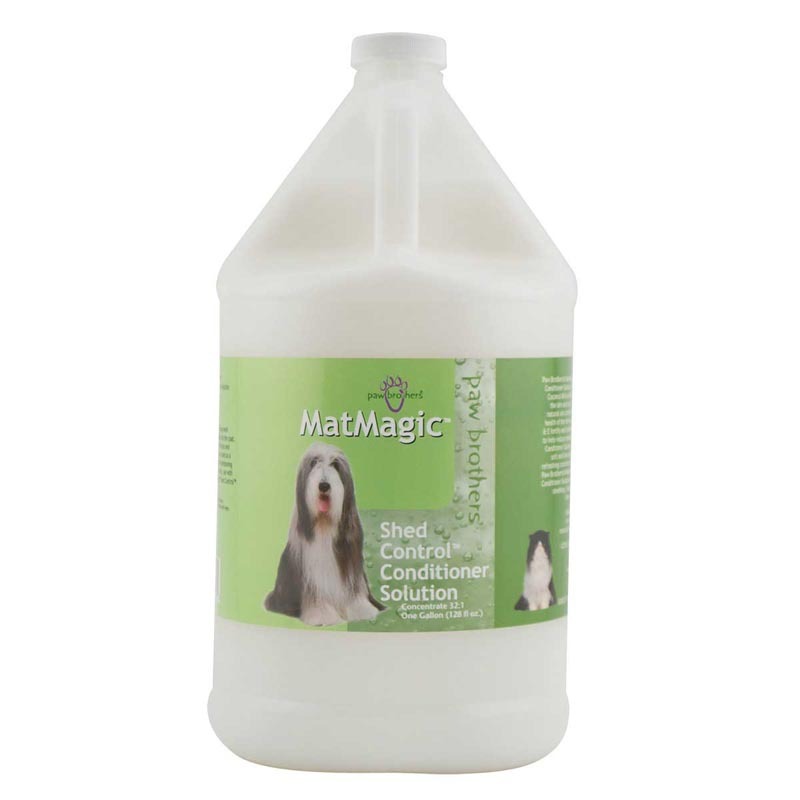 MatMagic Shed Control Conditioner Solution is formulated with aloe and coconut milk to remoisturize the skin and coat. Jojoba and other natural oils condition and improve the health of the skin and coat. Vitamins A and E fortify and strengthen the hair shaft to help control and reduce shedding. The Solution can be used as a conditioning rinse or as a leave-in conditioner. MatMagic Shed Control Conditioner Solution is biodegradable and contains only the highest quality naturally derived ingredients that will leave the skin soft and the coat tangle free with a refreshing coconut scent. Works great on all coats and can be used on dogs and cats.